Teak is a very fine and beautiful wood, with proper care you can keep it in good condition indefinitely. 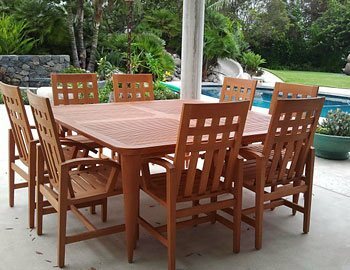 Our professional way of cleaning and sealing teak outdoor furniture made our clients very happy and completely satisfied with the results. 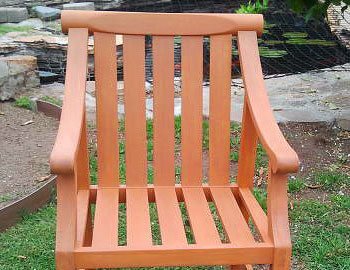 If you have Teak furniture in need of restoration; don’t hesitate to contact us today! 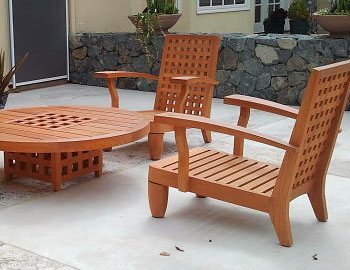 Teak Furniture Cleaning & Sealing offers our cleaning process we can achieve and maintain the rich silver-gray patina desire by many of our clients (this process does not require the use of any kind of sealer). If you have items that need to be re-sealed, you will be delighted with our teak sealing procedure. The sealer is available in a range of warm shades, suitable for any environment. Our sealer protects against damage from the sun, dust, mildew and a multitude of environmental impurities. If you have items that need to be re-sealed, you will be delighted with our teak sealing procedure. The sealer is available in a range of warm shades, suitable for any environment. Our sealer protects against damage from the sun, dust, mildew and a multitude of environmental impurities. We are fully insured and have been in business since 2001. Service is done on site or in our shop in Los Angeles. Please contact us if you have any items that need to be refurbished.